After the amazing incident of the escaped wild boars a couple of years ago, I would have liked to cook this with wild boar – as they do in many parts of Spain and France. Unfortunately, I couldn’t get any, but this, bought at the fabulous Ginger Pig in London, was just as good. Rub the pork with the salt, place on a trivet in a roasting pan and put into the oven at the highest temperature you can get. Immediately turn the oven down to 190C/375F and continue roasting, basting occasionally, for an hour and a half – if your joint is larger or smaller, calculate the overall roasting time at 30 minutes per 450g/1lb. Leave to rest, covered with foil, for at least 15 minutes. Meanwhile, make the sauce . . . Put the rhubarb and sugar into a saucepan and stir over a gentle heat until the rhubarb starts to give up its juices and the sugar is melted. Still over a gentle heat, add the cranberry sauce and stir until combined, adding a little water if the sauce seems too thick. Cut the crackling off the pork and break into pieces. Trim off any excess fat on the meat. Slice and serve with the sauce on the side. Good butchers do this as a matter of course. If yours doesn’t, ask him (or, increasingly, her these days) to cut off the skin, remove some of the fat, then tie the skin back with string. That way you’ll get wonderfully crisp crackling and less fat. Avoid the type of supermarket joint which is held together by netting as this gets inseperably melted into the crackling. Makes things difficult to carve and bits of the netting get stuck between your teeth! "In this video, we will take you through a series of easy to follow and achievable steps. You too can safely and effectively lose weight as well as significantly increase energy levels". 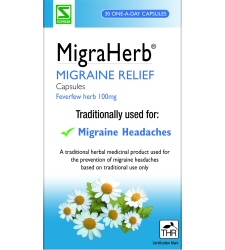 MigraHerb® is a traditional herbal medicinal product used for the prevention of migraine headaches exclusively based upon long-standing use as a traditional remedy. Always read the label. 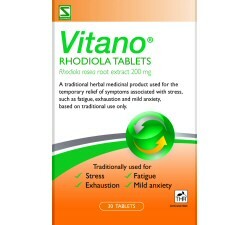 Vitano® is a traditional herbal medicinal product used for the temporary relief of symptoms associated with stress, such as fatigue, exhaustion and mild anxiety, based on traditional use only. Always read the label. Balances a hectic lifestyle... naturally! NOW £9.90 - Save £3.37. 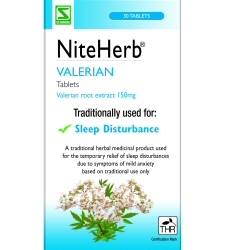 NiteHerb® is a traditional herbal medicinal product used for the temporary relief of sleep disturbances due to symptoms of mild anxiety exclusively based on long-standing use as a traditional remedy. Always read the label. Wake up revived - not groggy! NOW £5.20 - Save £0.92. Michael van Straten Osteopath (retired), Naturopath and Acupuncturist D.O., M.R.N., M.B.Ac.A.